Have you ever had that sinking feeling in your stomach when you realize that you’ve made a big mistake or someone has taken advantage of you? Sometimes we make a mistake. Sometimes we buy something on sale that can’t be returned and it doesn’t fit. Sometimes we pay money for something that ends up being garbage. It’s quite different, however, when we realize that someone has taken advantage of us. 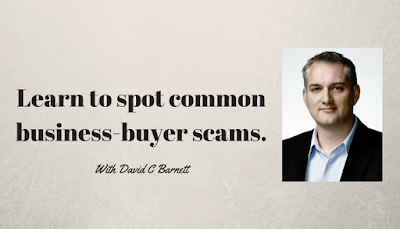 A viewer asked me to help show how people can avoid scams when buying a business. I put this video together to review the most common ones that I’ve seen over the years. Do you have a business to sell? Visit www.HowToSellMyOwnBusiness.com and learn how I can help you sell. Small Business Systems with Byron Ingraham.